The reliability of eyewitness memory is of great importance for justice system. Memory errors in eyewitness testimonials may lead to serious consequences such as the inability to find the real perpetrators as well as wrongful convictions due to eyewitness misidentification. Therefore, it is crucial for legal practices to get benefit from the emprical evidences in eyewitness memory research. From a historical perspective, this article focuses on the critical findings in eyewitness memory research over a century, and its links to legal practices. Görgü tanığı belleğinin güvenilirliği, adalet sistemleri açısından büyük önem taşımaktadır. Tanık belleğindeki bellek hataları, hem suçluların tespit edilememesi hem de tanıkların yanlış teşhisi nedeniyle yanlış kişilerin mahkum edilmesi gibi kritik sonuçlar doğurabilmektedir. Bu nedenle, yasal uygulamaların görgü tanığı belleği araştırmalarından elde edilen bulgulardan yararlanılarak düzenlenmesinin önemi büyüktür. Bu makale, kronolojik bir perspektif ile tanık belleği araştırmalarının yüz yılı aşan tarihindeki önemli bulguları derlemeye ve görgü tanıklığı konusundaki yasal düzenlemeleri bu bulgular ışığında incelemeye odaklanmıştır. Akil, C. & Ercan-Özler, M. (2018). Tanıklık beyanının delil değerinin değerlendirilmesi hakkında bir inceleme (Yargıtay Hukuk Genel Kurulu’nun 25.02.2015 tarihli kararının değerlendirilmesi). Türkiye Adalet Akademisi Dergisi, 34, 61-73. Arnold, G.F. (1906). Psychology applied to legal evidence and other constructions of law. Calcuta: Thacker, Spink. Bartlett, F.C. (1932). Remembering: A study in experimental and social psychology. Cambridge, England: Cambridge University Press. Birleşik Krallık Adalet Bakanlığı (2011). Achieving best evidence in criminal proceedings: Guidance on interviewing victims and witnesses, and guidance on using special measures. https://www.cps.gov.uk/sites/default/files/documents/legal_ guidance/best_evidence_in_criminal_proceedings.pdf, (Erişim Tarihi: 19.10.2018). Borchard, E.M. (1932). Convicting the innocent: Errors of criminal justice. New Haven: Yale University Press. Bornstein, B.H. & Penrod, S.D. (2008). Hugo who? G.F. Arnold’s alternative early approach to psychology and law. Applied Cognitive Psychology, 22(6), 759-768. Buckhout, R. (1974). Eyewitness testimony. Scientific American, 231(6), 23-31. Cady, H.M. (1924). On the psychology of testimony. 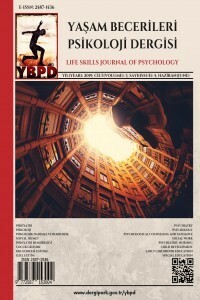 The American Journal of Psychology, 35(1), 110-112. Ceza Muhakemeleri Usulü Kanunu, http://www.mevzuat.gov.tr/MevzuatMetin/5.3 1412.pdf. (Erişim Tarihi: 1.11.2018). Clifford, B.R., & Scott, J. (1978). Individual and situational factors in eyewitness testimony. Journal of Applied Psychology, 63(3), 352-359. Desmarais, S.L., & Read, J.D. (2011). After 30 years, what do we know about what jurors know? A meta-analytic review of lay knowledge regarding eyewitness factors. Law and Human Behavior, 35(3), 200-210. Eğilmez, N.K. (1955). Şahadet ve şahidin psikolojisi, Ankara Barosu Dergisi, 6, 20-32. Er, N., Alpar, G., & Uçar, F. (2005). Görgü tanığının bellek yanılsamaları ve güven kararları: Bağımsız bellek bildiriminden sonraki test ve soru türü değişkenlerinin etkisi. Türk Psikoloji Dergisi, 20(56), 45-56. Feyzioğlu, M. (1996). Ceza muhakemesi hukukunda tanıklık. Ankara: US-A Yay. Innocence Project. Eyewitness misidentification. https://www.innocenceproject. org/ causes/eyewitness-misidentification., (Erişim Tarihi: 18.10.2018). İnci, Z.Ö. (2009). Ceza muhakemesi hukukunda teşhis. TBB Dergisi, 85, 105-136. Karamercan, F. (2018). Medeni usul hukukunda tanık ve tanıklık. Ankara Barosu Dergisi, 3, 153-191. Kerstholt, J.H., Koster, E.R., & van Amelsvoort, A.G. (2004). Eyewitnesses: A comparison of live, video, and photo line-ups. Journal of Police and Criminal Psychology, 19(2), 15-22. Lindsay, R.C.L., Wells, G.L., & Rumpel, C.M. (1981). Can people detect eyewitness-identification accuracy within and across situations? Journal of Applied Psychology, 66(1), 79-89. Loftus, E.F. (1981). Eyewitness testimony: Psychological research and legal thought. Crime and Justice, 3, 105-151. Loftus, E.F., & Palmer, J.C. (1974). Reconstruction of automobile destruction: An example of the interaction between language and memory. Journal of Verbal Learning and Verbal Behavior, 13, 585-589. Loftus, E.F., Loftus, G.R., & Messo, J. (1987). Some facts about weapon focus. Law and Human Behavior, 11(1), 55-62. Maass, A., & Köhnken, G. (1989). Eyewitness identification: Simulating the weapon effect. Law and Human Behavior, 13(4), 397-408. Malpass, R.S., & Devine, P.G. (1981). Eyewitness identification: Lineup instructions and the absence of the offender. Journal of Applied Psychology, 66(4), 482-489. Memon, A., Mastroberardino, S., & Fraser, J. (2008). Münsterberg’s legacy: What does eyewitness research tell us about the reliability of eyewitness testimony? Applied Cognitive Psychology, 22, 841-851. Münsterberg, H. (1908). On the witness stand: Essays on psychology & crime. Doubleday, Page. Orer Tokuzlu, A. (2006). Beliefs of legal professionals about eyewitness testimony and identification. Yayımlanmamış Yüksek Lisans Tezi, İstanbul: Boğaziçi Üniversitesi Sosyal Bilimler Enstitüsü. Polis Vazife ve Salahiyet Kanunu. http://www.mevzuat.gov.tr/MevzuatMetin/1.3.2 559.pdf. (Erişim Tarihi: 1.11.2018). Russ, A. J., Sauerland, M., Lee, C. E., & Bindemann, M. (2018). Individual differences in eyewitness accuracy across multiple lineups of faces. Cognitive research: principles and implications, 3(1), 30. Sporer, S.L. (2008). Lessons from the origins of eyewitness testimony research in Europe. Applied Cognitive Psychology, 22, 737-757. Talarico, J.M., & Rubin, D.C. (2003). Confidence, not consistency, characterizes flashbulb memories. Psychological science, 14(5), 455-461. Talarico, J.M., & Rubin, D.C. (2007). Flashbulb memories are special after all; in phenomenology, not accuracy. Applied Cognitive Psychology: The Official Journal of the Society for Applied Research in Memory and Cognition, 21(5), 557-578. Technical Working Group for Eyewitness Evidence. (1999). Eyewitness evidence: A guide for law enforcement. Washington DC: U.S. Department of Justice, Office of Justice Programs. https://www.ncjrs.gov/pdffiles1/nij/178240.pdf, (Erişim Tarihi: 18.10.2018). Tekin, S. (2009). Görgü tanıklığı: Olay sonrası yanlış bilgide kategori faktörünün etkisi. Yayımlanmamış Yüksek Lisans Tezi, İstanbul: İstanbul Üniversitesi Adli Tıp Enstitüsü. Wells, G.L. (1978). Applied eyewitness-testimony research: System variables and estimator variables. Journal of Personality and Social Psychology, 36(12), 1546-1557. Wells, G.L. (2008). Theory, logic and data: Paths to a more coherent eyewitness science. Applied Cognitive Psychology, 22, 853-859. Wells, G.L., & Bradfield, A.L. (1998). Good, you identified the suspect: Feedback to eyewitnesses distorts their reports of the witnessing experience. Journal of Applied Psychology, 83(3), 360-376. Wigmore, J.H. (1909). Professor Muensterberg and the psychology of testimony. Illinois Law Review, 3(7), 399-445. Yücel, M.T. (1994). Ceza adaletinde “tanık”. Türkiye Barolar Birliği Dergisi, 1, 100-106. Yücel, M.T. (2013). Ceza adaletinde sapmalar. Türkiye Barolar Birliği Dergisi, 105, 11-34.